On a recent Called to Coach, we spoke with Sue Steel, Executive Vice President of People & Culture at Nearmap -- an aerial imagery and data insights organization based in Australia, New Zealand and the United States -- and a Gallup Certified Strengths Coach. Sue has worked with engagement and with strengths, and Nearmap seeks to develop a high-performance, strengths-based culture. Sue joined Nearmap two years ago. The company, an entrepreneurial small business, had a lot of staff who joined in one role but then pivoted and ended up doing something else for the business. The company wanted to put the right foundation in place to support its staff. The company looked into other engagement surveys that were quite long and didn’t have much impact and realized that they needed to find a survey that was “short and sharp” and that the company could use to impact its workforce. Sue already had a relationship with Gallup and felt comfortable implementing the Q12 at Nearmap. Sue says the Q12 is a “health check” -- showing you where your organization is at a moment in time. But what you do with that information will take you to the next level. If you’re prepared to work at it, you can achieve phenomenal results. Nearmap rolled out its first Q12 engagement survey and saw a 90% participation rate. Sue had several Gallup people come to talk to the Nearmap executive team and managers regarding the nature of the survey, why the company was doing it and what success looked like; the company got a lot of buy-in from the team and managers. Nearmap focused managers on action planning, and the one or two questions they would be working on, based on the first survey’s results. When Nearmap got the scores from the first Q12 administration, the company realized they didn’t do too well. The company spent time with Gallup representatives, and formulated a strong plan for growth that has carried it through the past two years. Mission and purpose (Q08) was an item that the company scored low on -- the executive team was surprised at this. But when they actually discussed this among themselves, they realized that they didn’t have the same ideas about mission and purpose. So they came together to decide on a direction going forward that they could agree on, metrics to measure how well they are doing, and to obtain buy-in from the staff so that they would all be going on this journey together. Regarding Q01, “I know what is expected of me at work,” the company realized that the job descriptions didn’t always match what employees were doing each day. So the company rewrote the job descriptions for every staff member so there was more clarity and consistency. And Nearmap also looked at KPIs and what each employee does each day to help the company reach its mission and vision and hit its 2022 metrics. Every person at Nearmap is KPI’d to the 2022 metrics. Nearmap added a verbatim custom question to its engagement survey, “If you were CEO for a day, what is the one thing you would change?” And the CEO responds to every question and makes the responses available to all of the staff to review. Transparency is a key core value for Nearmap. And all of this stems from the Q12 and the other engagement survey questions. Nearmap has seen some powerful results in four administrations of the Q12 so far: for example, its “actively disengaged” percentage has declined sharply over that time, from 25% to below 2%. And Q12 opened the door for strengths. The company learned a lot from the first Q12 administration, and Sue felt strengths could push the company to where it needed to be. She decided to roll out strengths in four phases. The first phase involved rolling out strengths to the company’s employees -- U.S. employees first. She was overwhelmed with how well the U.S. employees accepted strengths. She then rolled out strengths to the company’s Australian employees. Skeptical employees have often come around to buy into strengths because they realize that this is about “you learning who you are.” There’s no “hard sell” necessary. Nearmap infuses strengths and people’s Top 5 into everything they do, including posting strengths and their definitions around the office. Phase 2 was about partnerships -- with whom do I partner, and with whom do I like to partner? It involved getting people to look at the dynamics of the teams and how to make them more successful. And the company also incorporated strengths into action planning -- how are you going to use your strengths to do what you need to do in this action plan? Showing the team grid to the team is also very powerful. Phases 3 and 4 are still a work in progress. Sue wants to look at broadening partnerships, so that they are not just within teams but across the business -- how can these partnerships from strengths be leveraged to the benefit of the business? That is part of what is in the works for these two phases. Nearmap uses a “Best of Us” activity -- in which people reveal when (under which circumstances) they are at their best and when they are at their worst; what they can be counted on to give the partnership; and what they need to be successful. Having family members take strengths (Strengths Explorer for kids) has given Sue new insights about her husband and her children. It’s “relational shorthand” for family as well as work relationships. Sue Steel’s business career spans more than 30 years. The first 13 years in the banking and finance industry and the last 17 years’ experience within human resources. Her range of skills and knowledge has been gained through local and international experience in big corporates, small startups and industry associations. 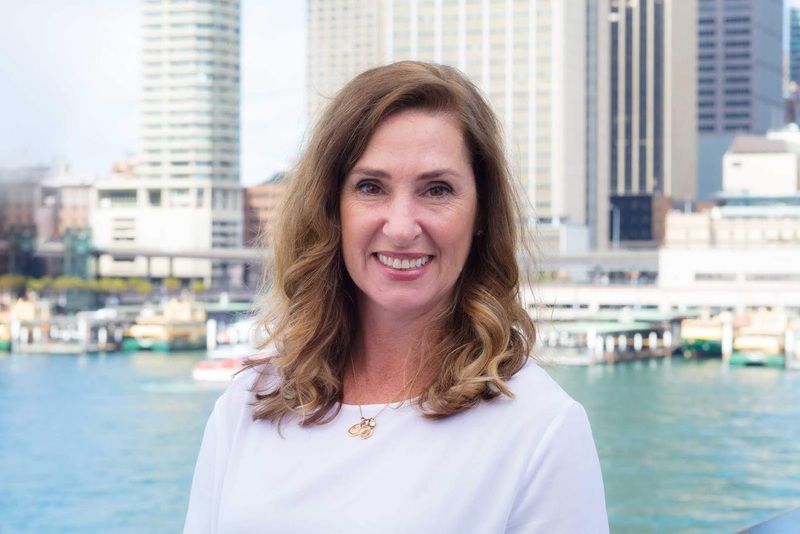 Sue started her career working on the Sydney Futures Exchange and, at the age of 25, was one of the youngest managers to lead a team of 32 staff on the SIMEX trading floor in Singapore. She has also held other senior management positions including, Associate Vice President Futures & Options at J.P. Morgan and Global Head of Banking Practice at Robertson Smart. Making the jump to human resources in 1999, Sue has owned and operated her own executive search and consultancy company, as well as providing consulting services to small businesses and startups around staffing, management, mentoring, new business development, culture and strategy. Sue joins Nearmap with a wealth of knowledge and is a highly effective manager who cares deeply about fostering leadership, talent and culture throughout an organisation. She is passionate and effective in delivering and working toward the desired goal and strategically aligned to the core values of the business, including a strong personal and professional achievement drive. In her spare time, she is a Mum to two young boys and spends her time forever running around after them. Sue Steel’s Top 5 strengths are Activator, Individualization, Achiever, Harmony and Responsibility.